"How I Lost 246 Pounds With No Quick Fixes -- I Started With My Mind"
A woman who goes by the name of Tamara used to weigh 438 pounds. She struggled with weight all her life, losing and gaining it all back many times. She says she has probably lost over 500 pounds on and off over the years, just to gain it all back. This time it's different. 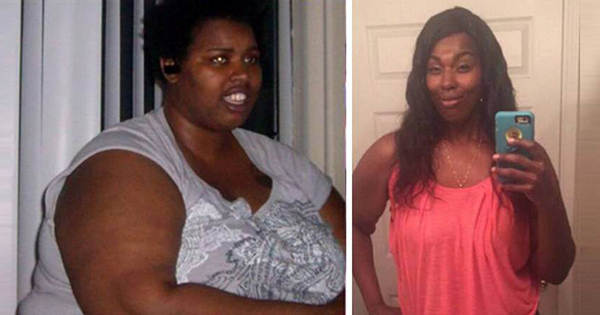 She has lost 246 pounds. How? As Tamara explained it, she started with her mind. She felt she had to heal from the inside before she could change her appearance on the outside, starting with digging deep to understand her relationship with food. Then she started walking 30 minutes a day. She is now down to 190 pounds and is very grateful to get her life back. But that's not where her story ends. “Started with my mind, now I'm here!!" "Slow and steady is my pace." "Slowly changed my relationship with food." "Do not let others define your worth and tell you what you can't do! I'm a living testimony." Tamara now ponders why it took her so long to get her life together, but she says "Its not a finish line for me only hills to climb and a path toward being my own kinda greatness."